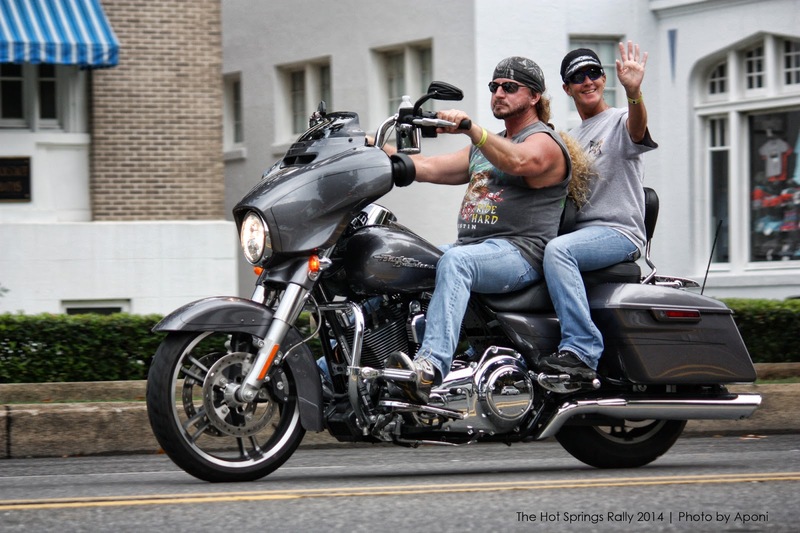 The Hot Springs Rally is the largest motorcycle rally held annually in central Arkansas. It offers something for every motorcycle enthusiast. This 3 day rally includes plenty of vendors, two poker runs with a chance to win $2,000, bike show, field events and bike games, a parade through historic downtown Hot Springs, and plenty of nationally known entertainment. All of this and more for one low all access ticket price. We want to let everyone know that our next rally will be our 10th anniversary! We have already been working very hard to make this upcoming rally one of our best yet! We are working to bring in two full nights of exceptional entertainment. And because we have such a great turnout for our bike games every year, we are also looking to add some new games in 2015. We will be announcing other activities and entertainment as we have them. Arkansas offers some of the best riding in the country. There’s so much diverse terrain to discover on our picturesque roads, wide-open highways and back roads. That’s the great thing about riding in Arkansas-just how much excitement we can pack into a compact geographic area. You’ll meet plenty of nice folks and create great memories along the way. And isn’t that why you ride, after all? So stay tuned….. and mark those calendars now! Our September 10, 11 & 12, 2015 Hot Springs Rally is shaping up to be something you will not want to miss! Sincerely, Wild Boar Promotions, Inc.